Note: Edited on April 25th with additional information and new English titles. The Beijing International Film Festival kicks off this week, which may be why the big Chinese film studios are rushing to announce their slate this week. Just a day after Huayi Brother announced their 2012-2013 lineup, Enlight Pictures (MURAL, LEGEND OF THE FIST, AN INACCURATE MEMOIR) announced their own 2012-2013 slate - and they’re looking to impress. Note: Entry edited on April 23 to add additional information, as well as clear up information about Doze Niu’s film. In March 2011, major Chinese independent studio Huayi Brothers (DETECTIVE DEE, SHAOLIN, ASSEMBLY) announced a large slate of films dubbed “Plan H”. Surprisingly, Huayi managed to complete most of the projects on that slate, having released Doze Niu’s LOVE, Tom Lin’s STARRY STARRY NIGHT, and Tony Chan/Wing Shya’s HOT SUMMER DAYS. Wuershan’s PAINTED SKIN II, Stephen Fung’s TAI CHI 0, Ronny Yu’s SAVING GENERAL YANG, Feng Xiaogang’s 1942, and Jackie Chan’s CHINESE ZODIACS have all finished shooting and getting prepped for release. According to the story, the film only made RMB 92 million in the seven days, which co-investor Stellar Megamedia’s CEO admits to being disappointed by. However, he also points out that the film already took up 50% of total box office gross in China this past week, which means that people just aren’t going to movies. He also believes that the recent box office gouging scandal has only minimal impact (more on that later), and that there are bigger factors at play here. We Pictures marketing head Mr. Lu also admits to being disappointed with the gross, especially its weekend gross. He says total box office in July so far is “outrageously low” compared to the same time last year. However, Lu also says that with overseas sale, the film will eventually find its way to profitability. More analysis of WU XIA’s box office when figures come out in a day or two. - Today’s focus story is on internet distribution for films in China. In January 2011, LET THE BULLETS FLY premiered on Chinese video sites such as Youku, Tudou, and others, on an on-demand basis. Essentially, the idea is that you pay RMB 5, and you can watch the film as many times as you’d like within 48 hours. The film was viewed over 200,000 times in 20 days, grossing over RMB 1 million. With legitimate DVD cost continuing to rise and piracy still rampant, this is the new way of film distribution in China. Basically, a film typically lands on these video sites about a month after their theatrical release. After a paid VIP Zone window, which allows members to watch the film in HD for a small premium, the film becomes free for all members. As of today, A BEAUTIFUL LIFE, NO. 32 B DISTRICT, and LOVE FOR LIFE can all be seen for free already, some with subtitles and some without. These sites also include a large arsenal of television dramas, including all 30 episodes of NAKED WEDDING (trust me, they’re not naked like the way you think they are), which just premiered on one major Chinese regional network tonight. Tudou, Youku, and now even CCTV’s movie channel have made mobile apps for easier access to their films. This is a very similar model to what Apple is doing in the states and Japan with iTunes, opening up more platforms and choices for audiences to watch films legitimately. However, these Chinese film industry is relying on this platform to work more so than the studios in the United States. Due to high ticket prices, cinema going is still considered a luxury for workers who only make about an average of US$500 a month. By making films available at a lower price than pirated DVDs, content owners are taking back any revenue they can in any possible way. As I had predicted earlier, the Chinese film industry is definitely heading towards a bubble situation, but there are things being done to delay that day, and internet distribution is one of them. 1) There’s no report on the true impact of these technology has on cinema revenue yet, but once there is, cinema owners will not be happy (the previous report about July box office being low may be one of the first signs). Like it or not, cinema revenue is still the best way for films to make money, and on a personal note, I believe that films are made to be seen in cinema. If the cinemas go down, the industry will also be severely impacted in a negative way. The same goes for legitimate video sales. Video publisher already had to resort to releasing inferior DVD-5 versions of Chinese films to make them more affordable, but internet distribution is offering these films at a better video quality for a lower price. With Blu-rays being sold at astronomical prices and DVD sales likely to go way down, the Chinese video market may eventually disappear. As far as I know, there is no legit video rental industry in China at the moment. 2) Rising licensing cost. While smaller films will appreciate that video sites will buy their content, production companies are likely charging more and more for bigger films. One day, these licenses may become so expensive that video sites don’t see the point in shelling out the money for them anymore. The rising cost situation is already happening on the TV drama end, where prices are per episode, not per series. 3) Copyright infringement. 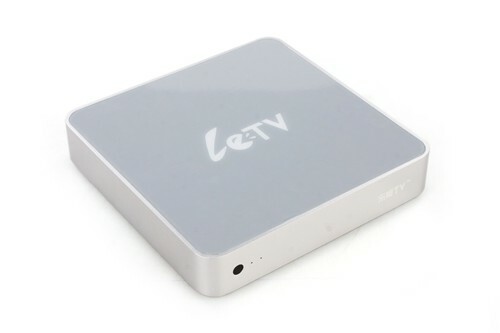 LeTV recently filed suit against a manufacturer of a home media center (similar to LeTV’s television box) for allegedly providing access to films that LeTV claims to hold exclusive rights for. The media scene in China is very fragmented right now, with more video sites, television stations, and news outlets than I care to count, which means many different companies sharing content that they might not be permitted of having. This may discourage video sites to pay the big bucks for exclusive rights, or encourage video sites to clamp down harder on enforcing their exclusive rights, as well as extending pay windows. This will have a negative effect on consumers, who may just go back to illegal downloads or buying pirated DVDs. There are a million directions which internet film distribution in China can go, but I say the more legit ways people have to watch films, the healthier the film industry will be. Sure, a film should be watched in the cinema, but it seems like for now, the masses have spoken, and they say otherwise. - Following up on the box office gouging story from last week, netizens are still reporting that they’re not getting tickets to films they paid to see. To refresh your memory, audience buys ticket to WU XIA, theater prints a ticket to BEGINNING OF GREAT REVIVAL. Audience watches WU XIA, but money go towards BEGINNING OF GREAT REVIVAL. Netizens reported last week that this practice is still happening in some cities. The distributor lamented that cinemas are simply saying that their employees made mistakes at the box office and that they can do little more than that. China Film Group continues to deny and decry the practice, while Stellar Media continues its campaign of offering RMB 1000 to each report of box office gouging for WU XIA. Stellar Media says they have already given out RMB 5000, and they have no idea how many more thousands they’ll have to give out. Weibo reports of gouging have slowed down over the weekend, and I will say that this past weekend, I was given printed tickets for films that I actually bought tickets for, so no RMB 1000 for me. - TVB/Shaw Brothers’ FORTUNE BUDDIES, spun off from the TVB variety show FUN WITH LIZA AND GODS, completed its 20-day shoot. Star/producer Eric Tsang said the film will only have three days of post-production because it has to go through Mainland censorship before its opening date of August 11th (simultaneous with Hong Kong). This is not the shortest shoot for a Hong Kong film - Johnnie To/Wai Ka Fai’s HELP!! only took 30 days from shooting to hitting cinemas, and director Pang Ho-Cheung shot EXODUS in reportedly 18 days. Go, Hong Kong cinema! Trailer for FORTUNE BUDDIES here. - Derek “son of Eric” Tsang posted the cover of the script for Pang Ho-Cheung’s reportedly Beijing-set sequel to LOVE IN A PUFF. It revealed two things: the script is co-written by Pang and Hong Kong novelist Lu Yi Xin, and its current English title is LOVE IN A BUFF. No kidding. Tsang wrote that he was heading back to Hong Kong to do a cameo for the film, but the weibo post has since been deleted. - William Chan (HI, FIDELITY) has signed on for a 3D film called WU XING GONG LUE, a drama about Mongolian wrestlers in the 1960s directed by Casey Chan. According to its Baidu entry, the film is supposed to star Siqin Gaowa, Betty Sun, and Josie Ho, and it was presented at Hong Kong’s Filmart in 2010. - Donnie Yen says that he personally prefers the Cantonese version of WU XIA, though it may have something to do with the fact that he spoke Cantonese in the film (He was dubbed in the Mandarin version). - MURDERER director Roy Chow will soon shoot a film starring a buffed up Nick Cheung and (after some research) Simon Yam. Could this be the MURDERER 2 that Simon Yam was referring to? According to this story, Janice Man will also co-star. Next time, Chinese box office analysis, a busy, low-budget summer in Hong Kong and whatever else we can get our hands on. - Today on the front of Oriental Daily’s entertainment page is a story about two filmmakers trying to get the Hegemon-King of Western Chu story made at the same time. On one hand is CITY OF LIFE AND DEATH director Lu Chuan’s version, starring Daniel Wu, Liu Ye, and Chang Chen. The word of Apple Daily is that Lu quit/was removed from the project after he disagreed with his production company about the film. Lu then found other investors and resurrected the project, leaving his previous production company very mad. So, Lu’s first production company then hired director Daniel Lee (of DRAGON SQUAD and THREE KINGDOMS), got a cast that’s rumored of Louis Koo, Fan Bing Bing, Huang Xiaoming, and Andy Lau. Lee said in an interview that the film hasn’t confirmed its cast yet, but will be ready to shoot in March. I know Daniel Lee has the bigger cast and all, but my money’s still on Lu Chuan. Story from Apple Daily, in Chinese, for access from Hong Kong only. Also take Apple Daily news with a grain of salt. - Hollywood studio Warner Bros. is finding a new way to penetrate the Chinese market - internet video on demand. The studio signed a deal with video site Youku to let Chinese users watch the film for a few yuan. Compared to the already low price of a DVD, there’s no excuse for Chinese netizens to illegally download the movie other than….well, who knows? - More in video-on-demand news, FUNimation in the United States has signed a video-on-demand deal with Asia Media Rights, who has been active in buying Asian films for such type of distribution model. FUNimation holds films such as EVANGELION 2.0 and SUMMER WARS. - Korean pop has officially invaded Japanese music with popular girls group Girls’ Generation winning Best New Artist at the Japan Gold Disc Award. - Derek Elley at Filmbiz Asia reviews the hit Chinese comedy JUST CALL ME NOBODY and COLOR ME LOVE, the latest film from BLOOD BROTHERS director Alexi Tan. - Lovehkfilm has updated with reviews from Boss Kozo. In this update, Kozo writes about the trashy, but entertaining Kung Fu Chef, the teen flop Trick or Cheat, Sion Sono’s epic masterpiece Love Exposure, and Miki Satoshi’s Turtles Are Surprisingly Fast Swimmers. - Hitoshi Matsumoto’s Symbol opened in Japan this past weekend on 242 screens (roughly the same amount of screens Dai Nipponjin opened on) and made 133 million yen, which is only 45.6% of Dai Nipponjin’s opening weekend. With an even more mysterious promotional campign than his first film, Matsumoto’s film doesn’t seem to be aiming for a large commercial audience anyway. - In Korea, the Hindi-language film Black has become quite a hit, despite it being a four-year old film. After three weekends, it already has 700,000 admissions, and may get to the million mark in two weeks. I’ll keep keeping track of it. - The Chinese TV/film authority SARFT has released new guidelines banning commercials for certain products and limiting the amount of ads during a program. No big deal for me, since such regulations is quite normal everywhere, especially for things like tobacco products. I read a report that implies these regulations were made in time for the PRC’s 60th anniversary, but with these regulations not coming into effect until January, it doesn’t seem likely that this is the case. - Korean female Park Chan-Ok, who worked under Hang Sang-Soo as his assistant director, finally sees her second film Peju coming out in theaters, despite the fact that it was announced 4 years ago. - The Seoul International Drama Awards were given out last week, with the Grand Prize going to Chinese drama Memoirs in China. Dramas from Europe also took home multiple awards. - It’s reviews time! Variety’s Derek Elley reviews the Venice closing film Chengdu, I Love You, which features a short film from Fruit Chan and one from Chinese rockster Cui Jian. Then Ronnie Schieb reviews the Montreal World Film Festival Best Director winner Villon’s Wife. And lastly, Screen International’s Tim Grierson reviews the American cut of Ong Bak 2, and strangely doesn’t make mention of its open ending. Did they get a different version in the States? - The American producers who were accused of bribing Thai government officials to run the Bangkok International Film Festival have been convicted for conspiracy and money laundering. They plan to appeal the ruling. - And under “Film festivals in Japan” news, a 16-minute set of footage from James Cameron’s Avatar will be shown at the Tokyo International Film Festival. No word whether this is the same footage shown on “Avatar Day” around the world last month, despite the report writing that it will include unseen footage, though it runs roughly the same length. Japanese film distributor Only Hearts has bought Mexico’s representative at the Academy Awards and it’ll be shown at the Latin Beats Festival in Tokyo this week.